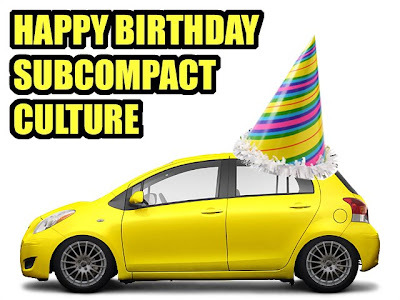 That's right, it's Subcompact Culture's first birthday! Okay, so I'm actually a bit late: The first post was January 22, 2008, but it wasn't until April of '08 that I got the site's analytics set up. 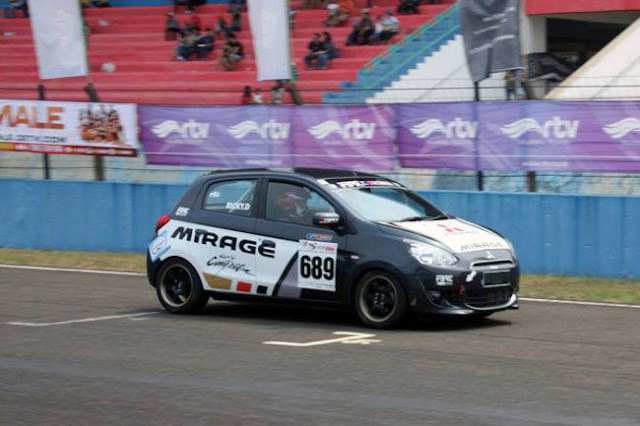 So for more than a year now, we've been writing about subcompacts and all things related. They grow up so fast, don't they? 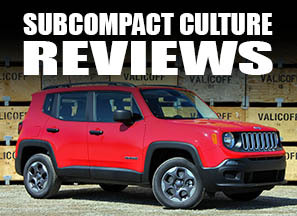 Anyway, to celebrate, I've ordered up SubcompactCulture.com decals and they should be in towards the end of the week. (Thanks Morgan!) More info on that when they arrive. Until then, I'd like to thank everyone for reading, commenting, and suggesting ideas for posts. And keep those ideas coming in. You can contact me using the "Contact" box on the upper right or e-mailing me at SubcompactCulture@yahoo.com. Congrats on the one year and a couple month anniversary Andy. Also, I will take one of those steekars! I'll be sure to get you one. I'll make a separate post when the decals come in. Congrats on the milestone, Andy! And enjoy the second year.